Wales is one of a handful of countries that has sustainable development integrated into its constitution. This obligation to promote sustainable development is presented by the government as a central organising principle. Currently, this statutory obligation to promote sustainable development is being enshrined in legislation through the development of a Sustainable Development Bill. The policy areas in Wales through which ecodesign is promoted and developed are the “Towards Zero Waste Strategy”, related waste framework activities and some innovation related actions such as the “advanced materials and manufacturing sector panel”. This sector panel is one of a number of expert panels established to advise Ministers on strategies for the key sectors of the Welsh economy. 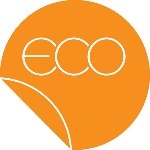 The Welsh Government part finances the Ecodesign Centre to act as a Centre of Excellence in Ecodesign. This finance is managed via the Waste Strategy Branch which is responsible for the development of strategies dealing with waste in Wales. The Ecodesign Centre has developed and delivered a range of ecodesign related programmes in Wales including an 18 month demonstration project on ecodesign in SMEs, ecodesign curriculum development, an ecodesign network for the design sectors, assessment of integrating ecodesign in public procurement and many ecodesign promotion events for Welsh Industry. The Welsh Government and Ecodesign Centre are currently undertaking a baseline activity through which priority products produced and consumed in Wales will be identified with a view to developing innovative interventions. Through investing in design Welsh Industry can contribute to a more sustainable society. This is best evidenced through looking at businesses producing innovative products with reduced environmental and social burden. One such example is Orangebox, a Welsh furniture design company with whom the Ecodesign Centre have worked closely since 2007. Orangebox are a sustainability focused and design-led business whose products are multi-award winning. Orangebox as a business are committed to investing in ecodesign which considers the full life cycle impacts of products and processes (from raw material extraction to end of life treatment). At a business level, Orangebox’s strategic ecodesign commitment can be seen through activities such as localising their supply chain, implementing an end of life take back structure for their products as well as being the first European business to achieve Cradle to Cradle certification for a task chair. Dividends associated with such initiatives are clear to the business. For example, localising their supply chain has allowed for closer working relationships with their suppliers and more control over the design of their products. This localisation has also reduced environmental impacts through energy reduction at the transport stage, reduced costs, and increased quality while also allowing for greater experimentation in their design, ultimately delivering standalone ecodesign-led products. At a design level, adopting ecodesign strategies within the design process has contributed to the innovativeness of their products. The Do chair, Orangebox’s most recent chair to market demonstrates this. Through ecodesign strategies such as part reduction, design for disassembly, dematerialisation and material streamlining the environmental impacts of the chair have been significantly reduced. The Do chair is their most efficient chair to build, reducing the embedded energy and reducing production costs, it is faster to disassemble than it’s predecessor as well as 30% less resource intensive, reducing the cost of raw materials as well as increasing resource efficiency. 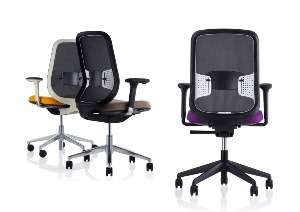 Do was launched in April 2012 and is Orangebox’s fastest selling chair to date. Orangebox are currently engaged in research with the Ecodesign Centre looking at material selection processes and design decision-making optimisation to further reduce their product’s environmental impacts.This research is highlighting new complexities in sustainability decision-making linked to trade-offs and burden shifting.